Comply with all laws and regulations. 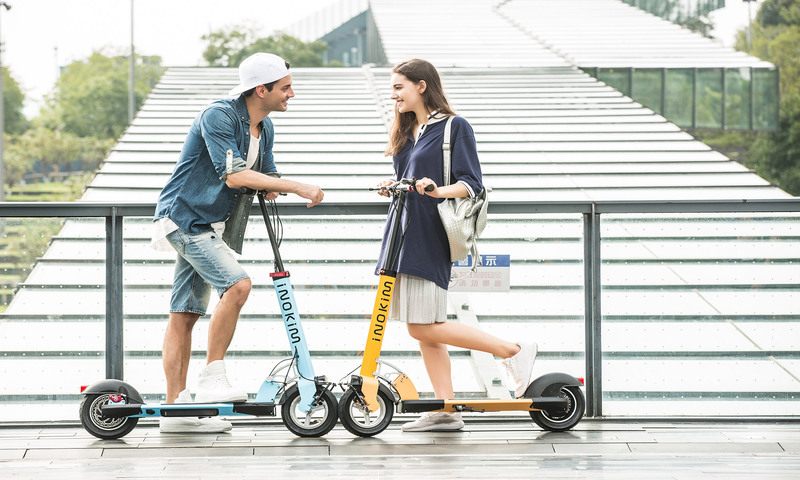 It is the sole responsibility of the rider to at all times comply with and obey any applicable laws and regulations for e-scooters. Please note these may restrict the use of some E-scooters to private land only and/or prevent certain E-scooters from being used on public footpaths and/or roads. Wear a helmet at at all times. Use an approved bicycle or skateboard helmet that fits properly with the chin strap in place and protects the back of your head. Riding age. We recommend riders be at least 18 years or older for all adult E-scooters. For the Inokim Mini, the recommended age from the manufacturer is 12 years and above. One rider use. E-scooters are designed for a single user only. Speed limit. Observe all speed limits. Ride sensibly and to the conditions. Be aware of your surroundings at all times. Keep a look out for pedestrians, other riders, obstructions and vehicles on footpaths. Slow down and give way and ride at a speed that is safe for the conditions and in accordance with any regulations and laws. Slow down or get off and walk the E-scooter on slippery, oily, icy surfaces or gravel or stairs. Put your safety and the safety of others first. If riding at night, wear reflective clothing and do have front and rear lights on the E-scooter. Do not ride in dark or foggy conditions if it is not safe to do so. Avoid doing stunts. E-scooters are not designed for such purposes. Keep a look out for traffic and be aware of potential dangers. Do not use your mobile phone or listen to music while riding. Be aware of the maximum weight loads for each E-scooter you are using. Damage to the E-scooter, loss of warranty and/or injury or death can occur if you exceed the maximum weight. Wear appropriate clothing and footwear. Ensure loose clothing can be secured in place to ensure nothing gets caught in the wheels. Do not ride the E-scooter barefoot. Water resistant but not waterproof. Do not allow the E-scooter to enter or be exposed to water with a depth of more than 4 cm. Check weather conditions. Do not ride the E-scooter on slippery surfaces, during high winds and/or heavy rain. Maintain your E-scooter in accordance with the E-scooter Manual. Do not ride your E-scooter if it is not functioning properly. Check brakes, tyres, lights and controller etc that they are in good working condition before you ride your E-scooter. Get it serviced in accordance with the user manual. Battery. Avoid overcharging the battery. Do not leave it to charge overnight. Place the E-scooter on a hard flat surface to allow the optimal dissipation of heat. Do not place charging battery near combustible materials. Do not leave E-scooter in direct sunlight. Be very familiar with operating your E-scooter. Read your E-scooter Manual thoroughly before riding it.